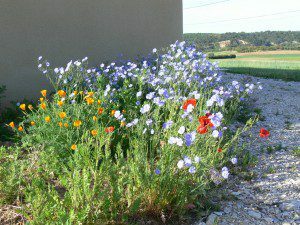 In late Spring and early summer, Provence really is at its best. The countryside is a patchwork of bright greens, with the vivid acid green of the new growth on the vines really standing out. However our favourites are the wildflowers which dot every roadside and hedgerow. Here are some which I snapped yesterday morning just behind our winery.